Satisfying electronic systems are much more than the sum of their parts. A high-performance automobile has most of the same parts as an economy car. It’s just that they’re better parts, engineered to perform at a higher level, to be more durable and to produce a more satisfying experience. The same is true of our music and video systems. We recommend and install only premium products from the finest manufacturers in our industry. Just about every component you buy comes with its own remote. Before long, you need a basket to hold them and it’s hard to remember which controls what. Let us combine them all into a single, easy-to-use, upgradable device, perhaps even the same smartphone or tablet you use every day. Let’s say that for the big game, you want a single video feed distributed throughout the house. 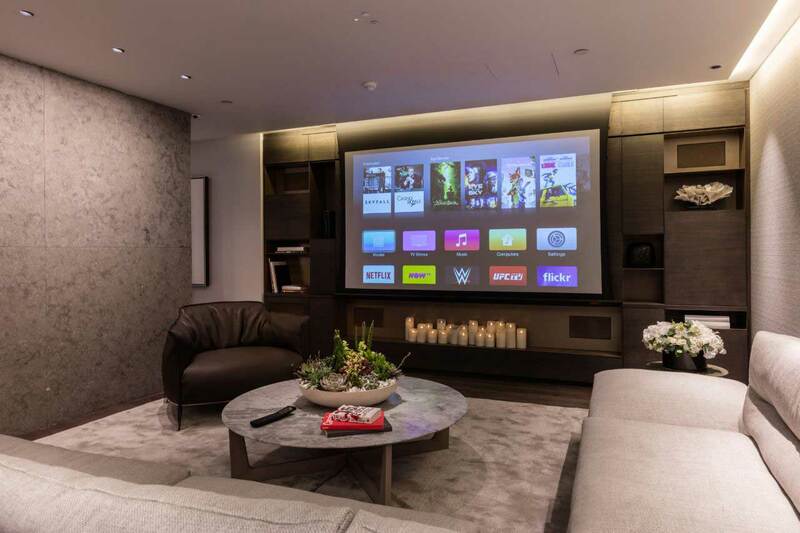 At other times, everyone in the house wants to watch something different – cable TV, a Blu-ray disc, or a 4K feature streamed over Netflix. Even if all of your source components are all in one place, we can help you do this and more, with simple intuitive controls that anyone can operate. Enjoy your personal digital music library, music services, or internet radio anywhere in your house, or on your property with speakers elegantly concealed in walls or ceilings. Enjoy the same music everywhere or play something different from room to room to suit each member of your family, and control it all with in-wall keypads or any mobile device.